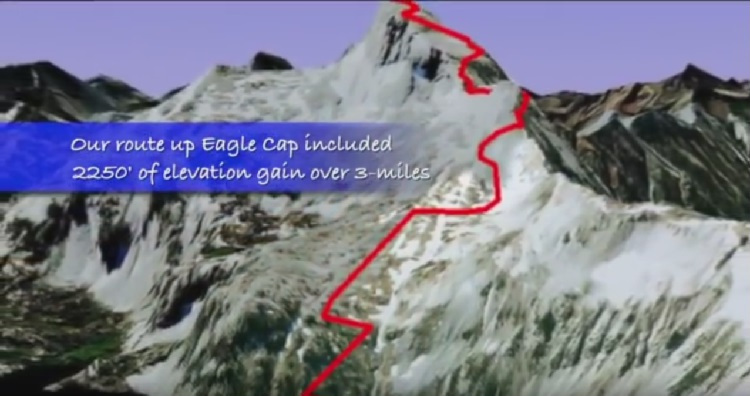 At the August 2017 SVRC club meeting, Tim N9PUZ presented Summits on the Air (SOTA). 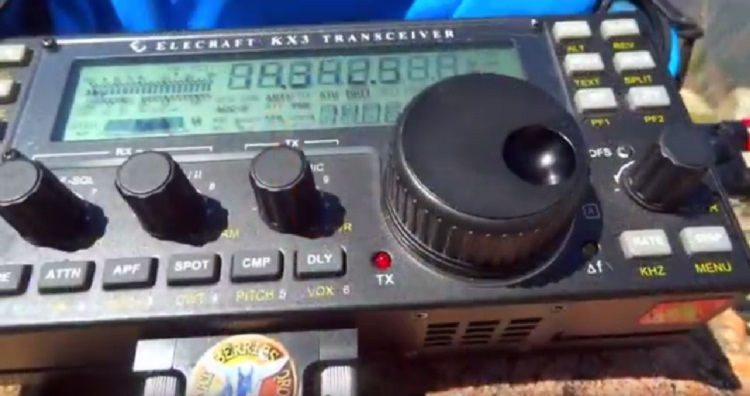 SOTA is an award scheme for radio amateurs that encourages portable operations with the goal of having fun while operating from a variety of locations. So, if you are not a mountain goat kind of operator, you can still work activator SOTA stations from the comfort of your couch at home. SOTA is structured in such a way that anyone can participate. 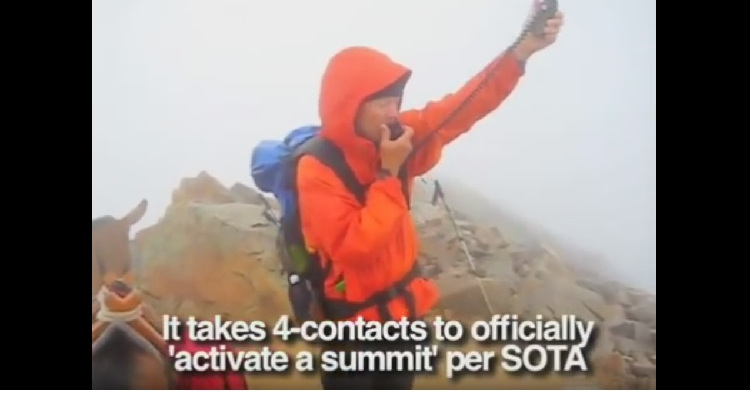 There are two roles that can qualify for points and prestigious SOTA certificates. Just make qualifying contacts and submit your logs. Activators: These operators are the ones who go to the mountain tops (or within 80 vertical feet of the summit) and set up portable radio operations. The coveted award is the Mountain Goat. Chasers: These operators make contacts with the Activators from the comfort of their ham shacks, another hill-top or are also Activators on another summit. The coveted award is the Shack Sloth. Very little is off limits when it comes to equipment, transmitting power and antennas. Except! You cannot operate out of your vehicle or use commercial power. Nor can you use any fossil fuels (i.e. generators or power from your vehicle). The equipment must be carried to your portable station site. 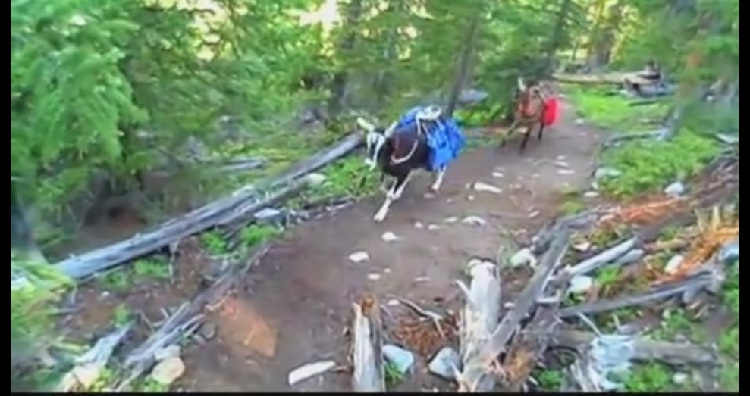 Apparently pet goats can be used to help haul your lunch & gear up to the summit. 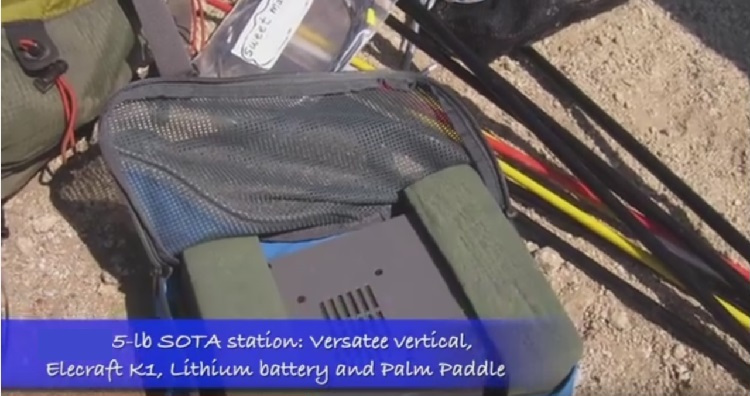 Tim shared that experienced SOTA operators will often bring along a hand held radio to contact stations on the local repeaters to drum up some contacts. For activators, lightweight simple antennas are the norm. VHF/UHF operators often carry small beam antennas or a portable J-Pole they can raise on a painter’s pole or fiberglass mast. For HF, a simple end fed wire configured as a sloper or an inverted V are very common. Another common antenna is a lightweight dipole. 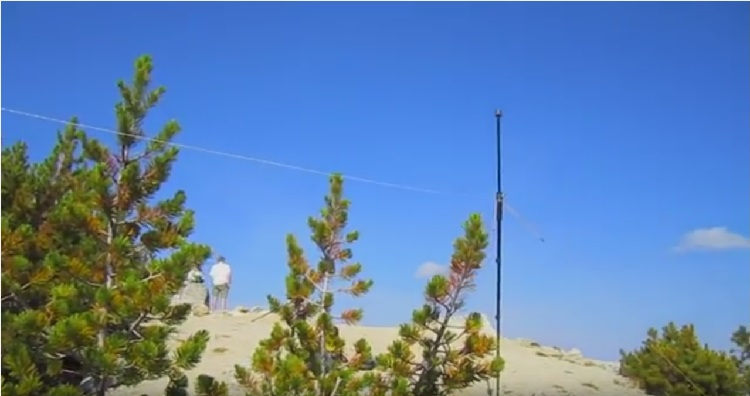 Operators really looking to keep their pack light will often use a two band trapped dipole or a “jumper” dipole so they do not need to bring along a tuner. Although some of these may be considered compromise antennas, the activator has height working in their favor and as we know when it comes to antennas height trumps almost anything! 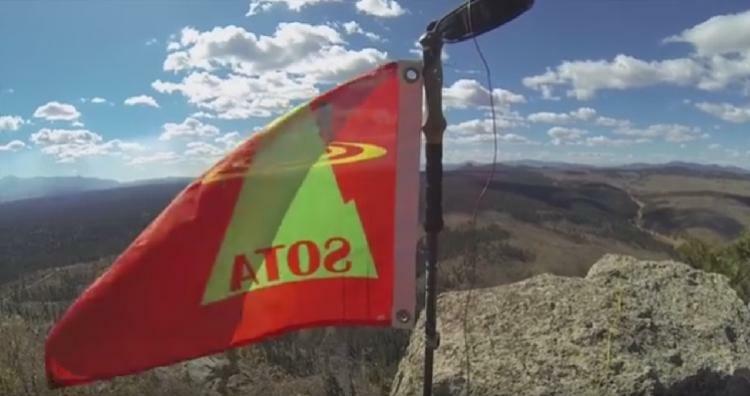 Tools of the SOTA trade include a smart phone app for Android phones called SOTA Spotter which lets you see who is out there, the frequencies they are on and the modes they are using. Another useful tool is Google Earth with the flood.kml add-on which is invaluable for identifying activation zones. https://vk2gom.wordpress.com/2015/09/01/determining-activation-zones-in-google-earth-flood-tool/ There are also several electronic logging apps. Thanks Tim, N9PUZ, for putting on a great and informative presentation. Photos for this article are used by the gracious permission of Steve Galchutt WG0AT, Peanut and Boo.